Philly READS — 30 volunteers sorted, labeled, and shelved donated books and school supplies for the Philadelphia READS Book Bank at Martin Luther King Jr. High School. The Book Bank is a resource for educators who serve the city’s children and youth within daycare, preschool, public, private, charter, parochial, religious, and after-school classrooms. Girard College — 20 volunteers constructed book shelves, sorted donated books and Pre-K supplies, sorted and packed business clothing to be donated to low-income and unemployed men through local nonprofit organizations, created dog and cat toys to be donated to animal shelters through the Glad Dogs Foundation, and created recycling posters and visual aids for elementary students in the Philadelphia School District’s Green Futures Initiative. In addition, Lorina Marshall-Blake, president of the Independence Blue Cross Foundation and day-of-service volunteer, delivered the invocation at the Annual National Bell Ringing Ceremony at the Liberty Bell Center. 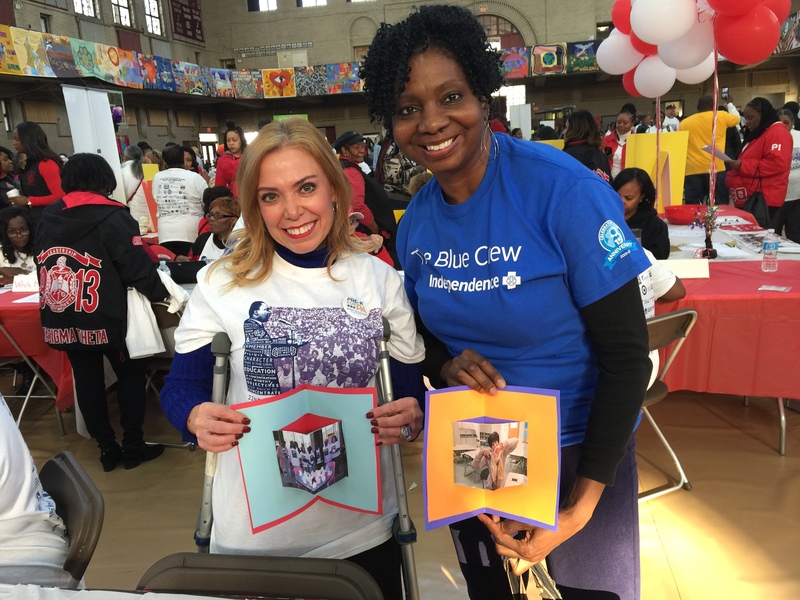 The Independence Blue Crew volunteers have honored the legacy of Dr. King through service to our community for the past 22 years, since the program’s inception. Each year our associates help to transform the federal holiday into a day of active citizenship in our region.